Northwestern State University’s Department of Military Science hosted a Prisoner of War/Missing in Action National Recognition Day program Sept. 15. The day is annually observed on the third Friday of September and was incorporated into activities surrounding the Investiture of NSU President Dr. Chris Maggio. The program honored Lloyd Ponder of Natchitoches, a 1949 graduate of NSU, who spent four years in a Japanese POW camp. 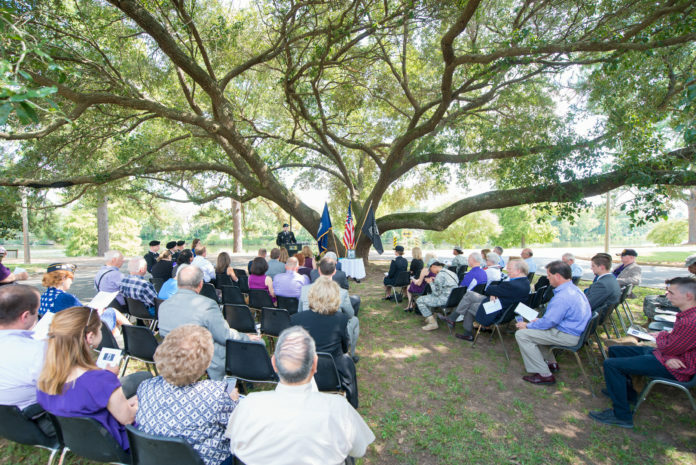 ROTC Cadet Karl Marzahl read excerpts from Ponder’s moving memoir, “World War II, Prisoner of War Experiences of Lloyd Ponder.” The program took place at NSU’s Freedom Tree, an oak dedicated in 1973 at 1 Normal Drive between the President’s Residence and Chaplin’s Lake. Next articleWill insurance rates go up because of hurricanes?